In other news: A Maletis heir finds a solution to an intractable problem with weed. Still digging out of the snow? You're not alone. 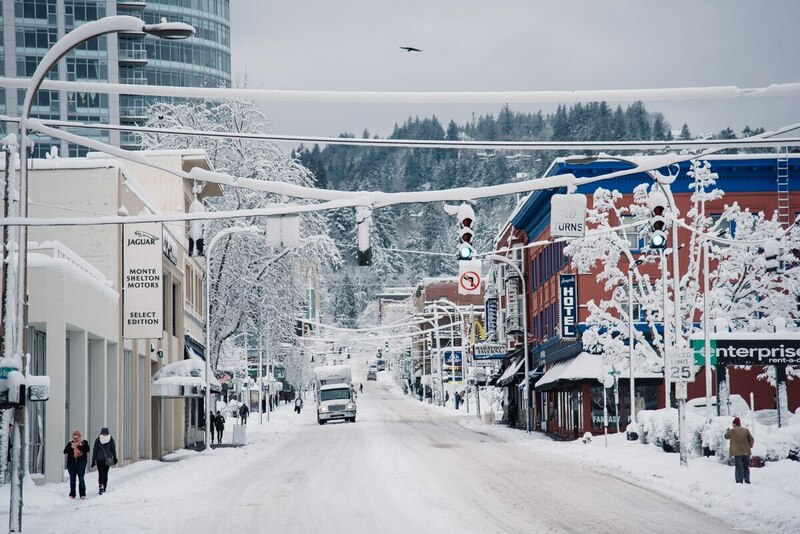 More than a foot of snow fell on Portland on Jan. 11, making it among the city's biggest snow days this century, and the cleanup at times paralyzed Portland. Mayor Ted Wheeler and Gov. Kate Brown both declared a state of emergency within hours of the white stuff. Local transportation officials took heat for roads that remained ice-clogged a week later. The weather hit the city's homeless population hardest: More than 1,900 people took refuge at Multnomah County shelters last weekend—a 56 percent increase over typical demand. "I'm not here to make excuses," Wheeler said at a Jan. 17 press conference. "I think we can do better, and we will." Rex Tillerson, the longtime ExxonMobil chairman and Donald Trump's nominee for secretary of state, will soon face a grilling by Oregon environmental lawyers. The lawyers, Julia Olson and Daniel Galpern, filed a civil complaint in U.S. District Court in Eugene in August 2015 accusing the federal government of allowing the fossil fuel industry to destroy the planet. Tillerson may testify in that case as early as Jan. 19, in Dallas, although a spokeswoman for Olson's organization, Our Children's Trust, tells WW that Tillerson will probably try to delay, given that he is still awaiting confirmation by Congress for his new job. The plaintiffs, 21 young people including Oregonians, allege that the U.S. government's promotion of fossil fuels has deprived them of their constitutional rights, and that "instead of pursuing their own plans to slash emissions and reduce the risk of dangerous climate change, [federal agencies] knowingly acted to exacerbate that risk and impose harm on the nation." The case cleared a major hurdle last November when U.S. District Judge Ann Aiken rejected government and oil industry arguments that the complaint should be dismissed. spent more than a decade trying unsuccessfully to develop Langdon Farms Golf Club and the surrounding land at the edge of the Portland metro area for industrial purposes. They finally found an acceptable use for the land: marijuana. Tom's son, Matt Maletis, this week announced plans for Oregon Hub, a cannabis research, innovation and growing facility on Maletis property in Clackamas County just north of Aurora State Airport. The operation will house Phylos Bioscience, which is attempting to modernize cannabis-seed technology; Newcleus Nurseries, which is seeking to advance cultivation practices; and a grow operation for Ideal Farms, a leading cannabis producer. Maletis, 37, hopes his development will help the cannabis industry flourish like the Oregon wine industry, with a combination of technology and craft production. Maletis says convincing his father and uncle that cannabis was the future was "a tough sell," but they are now fully supportive. Correction: This story originally stated the case was brought by five young Oregonians. In fact, the case has 21 plaintiffs from nine states, including Oregon.